Christmas time is beautiful in Savannah; the light posts around downtown Savannah become adorned with red ribbons and fir branches, and bustling Broughton Street is illuminated by twinkling lights. Join in the festivities around town, and make it a holiday to remember! If you haven’t already, you can still book the perfect vacation home. Broughton Street is Savannah’s best shopping destination – with dozens of stores like H&M, Gap, Savannah Bee Company, J Crew and Urban Outfitters, there is something for everyone! 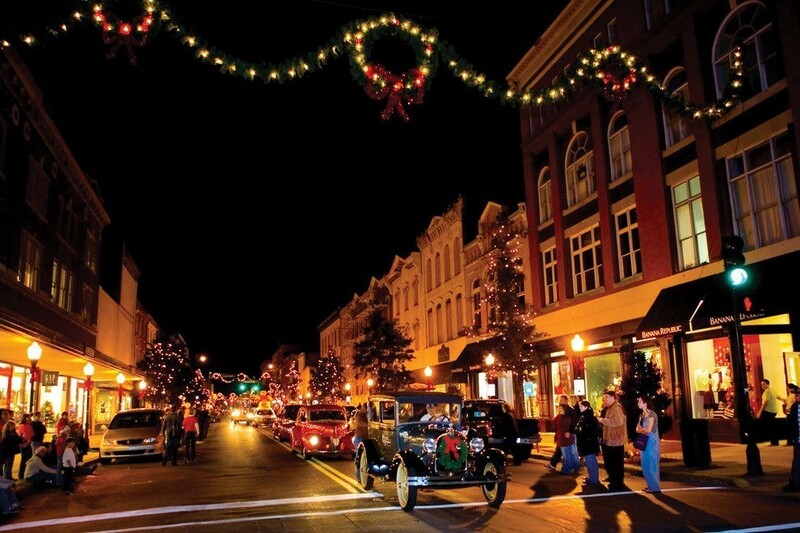 Broughton Street has always been a great place to take the family shopping, but kick it up with the Holidays on Broughton festivities this November 24 – December 31st! On Friday November 24th, help kick off the Christmas season in historic downtown Savannah for the Holiday Tree Lighting! Make sure to stick around after the tree lighting for musical performances, Santa’s arrival and much more! If you can’t make it to the tree lighting, but still want to participate in the the holiday cheer, no worries! There will be tons of festivities and loads more fun to be had until the closing day of the festival on December 31st! 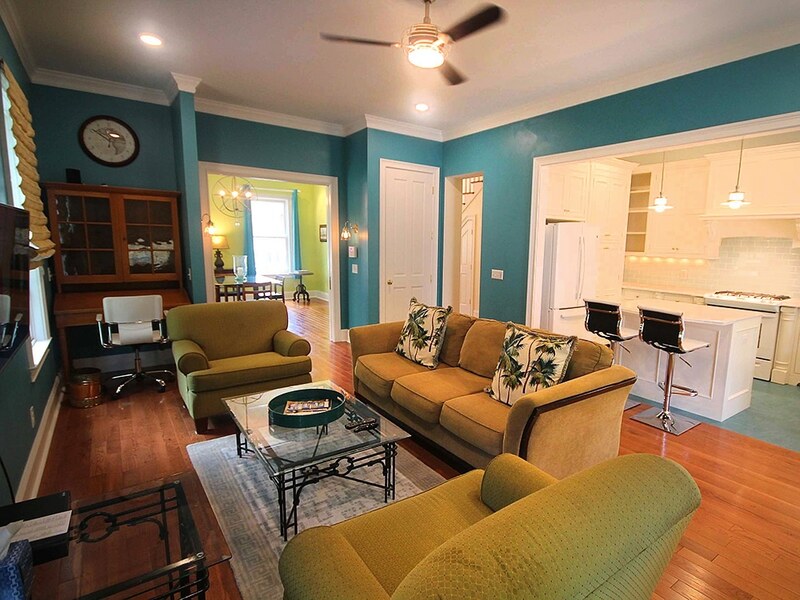 Modern Southern living awaits at this newly-constructed, two bedroom, two bath vacation rental tucked away near Forsyth park in the Historic Downtown area. This amenity laden property is shaded by some of the oldest live oaks in Savannah. The private patio is another special delight, complete with bubbling fountain, comfy wicker chairs and gas BBQ for grilling out.